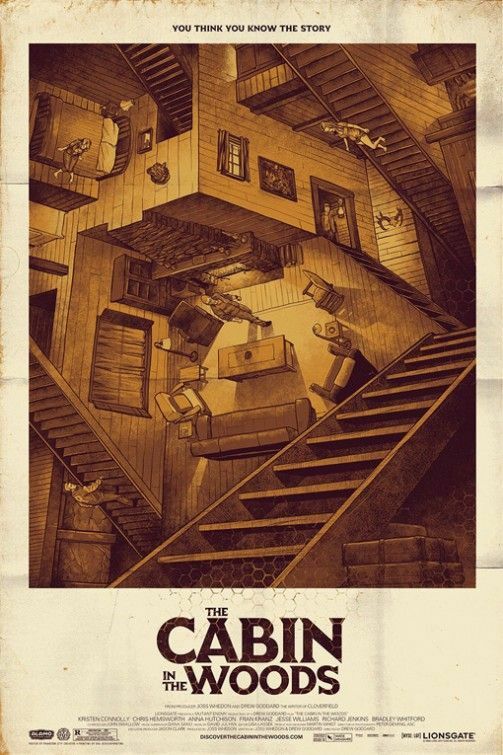 As I’ve said again and again, Drew Goddard and Joss Whedon‘s The Cabin in the Woods is one of the best “horror” movies I’ve ever seen, and it’s easily one of my favorite films this year. While many of you might love the horror genre, I find it repetitive and stale. It seems like the genre is stuck in neutral, and no one is making any progress forward. But that all changed after I saw Cabin in the Woods. Without spoiling anything, let’s just say the film turns “horror” on its head, and I loved every second of it. For more on the film, here’s Matt’s glowing review and interviews with Richard Jenkins and Bradley Whitford as well as Anna Hutchison, Jesse Williams & Kristen Connolly. Right before this year’s SXSW, I sat down with co-writer and director Drew Goddard for an extended video interview. Since we both didn’t want to spoil any of the twists and turns of the movie, our conversation is spoiler free. During the wide ranging conversation we talked about making The Cabin in the Woods, the status of the Cloverfield sequel, Alias, Buffy, Angel, Lost, (he was a writer on all four series) Steven Spielberg‘s Robopocalypse (which he’s writing), his reaction to seeing The Avengers, and a lot more. Hit the jump to watch. As usual, I’ve time indexed the interview so you can watch the parts that interest you. 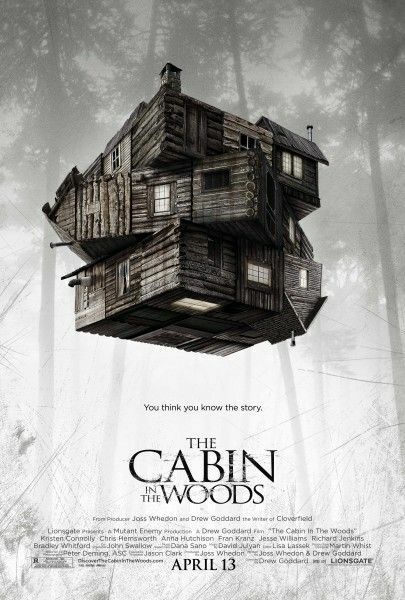 Finally, if you haven’t yet seen The Cabin in the Woods, go and see it before anyone spoils the surprises. It’s a brilliant movie that is definitely worth your time. Goddard reads the sites, but tries not to read too much about himself. 0:40 – He appreciates that people are still interested in a Cloverfield sequel. He wishes he had a better answer about if and when it might happen. 1:30 – They didn’t set out to make a franchise, but if there was an idea that excited them, they would make a sequel. 2:20 – J.J. Abrams, Matt Reeves, and Goddard each have their own ideas about what a Cloverfield sequel might be. They have never gotten in a room to hash out the movie. 3:00 – Goddard knows of no connection between Cloverfield and Super 8. 3:45 – It was frustrating waiting for The Cabin in the Woods to come out. But he notes that the MGM bankruptcy also held up The Hobbit and the next James Bond movie, and Lionsgate was so supportive, that he found peace in the situation. 5:20 – The final product is very close to the script. They developed the script on their own before pitching it to studios. 6:20 – Given the spoiler-sensitive material, Goddard says, “I wish we didn’t have to trailers at all.” Goddard praises Lionsgate’s marketing team, saying he immediately approved their first trailer. 7:20 – Pitches Cabin as a “fun horror movie” without spoiling anything. 8:10 – There are some deleted scenes, but no more than any other project Goddard worked on. There won’t be an extended cut on the home release. 9:20 – Whedon had a basic three-act structure for a cabin horror movie. He and Goddard locked themselves in a hotel room until they finished the first draft. 11:20 – The structure is the same as that hotel draft, but they did hone the script over a few months. 12:00 – The delay was hard, but they ended up at the right home in Lionsgate, and it helps that one of the stars is now Thor. 13:10 – He learned from working on Buffy and other TV shows how to find and stay connected to the central idea in each script. 14:10 – He came to Buffy in the last season as a fan of the show. 15:00 – Doing the rumored Buffy reboot without Whedon feels like “a gross miscalculation.” Admires Whedon’s zen attitude about the situation. 16:30 – Goddard also worked on Lost, which he felt was really bold. 17:30 – They wanted to get into the sci-fi aspects of Lost much sooner, but ABC held off. Goddard acknowledges this approach worked for the show. 19:10 – Goddard attributes the sci-fi mystery links between Lost and Alias to Abrams. 20:00 – By the time he came to Alias and Angel, both shows had settled into their groove, so the writers had free reign. Things were different with the instant success of Lost. 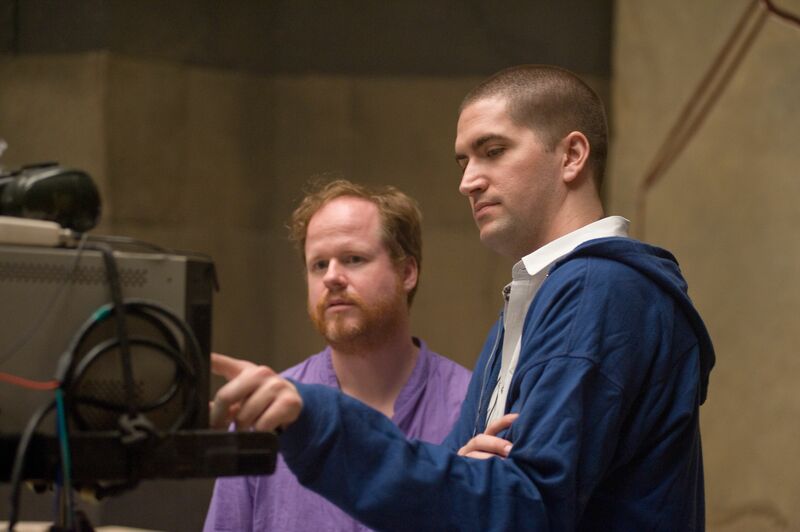 21:15 – Goddard is amazed that he gets to work with Steven Spielberg on Robopocalypse. Spielberg is very collaborative and nurturing. 22:40 – He’s been working on the Robopocalypse script for awhile since Spielberg has been working on other movies. 23:10 – The plan is to shoot this fall. 23:50 – Says the secret of adapting is to “find the spirit of the book.” The script is really long now, but they are cutting it down. 25:00 – His approach to writing is to follow what excites him today. 25:50 – He’s writing things other than Robopocalypse, but nothing that he’s ready to announce. 26:10 – The enthusiasm about his directorial debut could open doors for other opportunities. 27:00 – Says he was very happy after seeing The Avengers early.